Here's when it all starts. By Adjua Fisher·	 3/21/2017, 11:00 a.m. So, about Yoga on the Pier: In case you aren’t familiar with what it is, Yoga on the Pier is the beloved free yoga series (though donations are always very much welcome and appreciated) held at Race Street Pier in the warmer months, helmed by local yoga instructor Malik Wilson and made possible by the Delaware River Waterfront Corporation. The views of the Ben Franklin Bridge from savasana are amazing. You can bring your (well-behaved) dog. You can bring your kid. Needless to say, it’s pretty awesome. And this year, they’ve added even MORE programming than they offered last year. Here’s the deal: Yoga on the Pier will kick off on Monday, April 10th and will run through November 12th, with weekly yoga classes held at 7 a.m. Monday through Friday, 6 p.m. Monday through Thursday, and at 9:30 a.m. on Saturdays and Sundays. 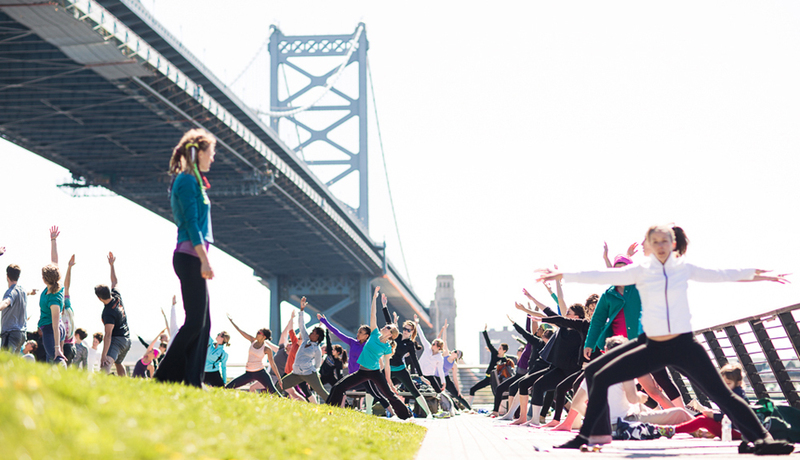 And get this: Along with their weekly yoga classes, YOP will also be leading group runs across the Ben Franklin Bridge (about three miles out and back) on Wednesdays following the evening yoga class. These runs will kick off on April 12th, and Wilson tells us they’ll add more weekly runs as the season goes on. Awesome, right? Like last year, they’ll be holding twilight yoga classes each month, on April 11th and November 4th at 6 p.m. and on May 10th, June 9th, July 9th, August 7th, September 6th and October 5th at 8:30 p.m. Then, they’ll be holding a summer solstice downward-dog session on June 21st at 6 p.m. and an autumn equinox class on September 23rd at 9:30 a.m. Are you writing all this down in your calendar? 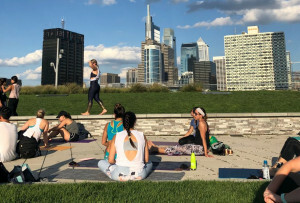 Like last year, select businesses around Race Street Pier will be offering discounts to Yoga on the Pier goers after class, and — moving outside of the Old City arena — they’ve partnered with Fit Complex to host yoga-and-brunch rooftop events in Center City. Stay tuned to YOP’s Facebook page here for updates on those. 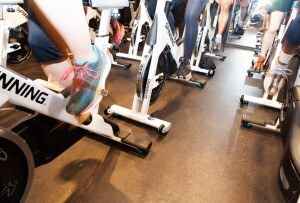 So, it looks like your spring workout plans are all figured out, huh?